laying event is the result of Worcester Wreath Company's owner Morrill Worcester's, childhood dream of doing something to honor those laid to rest in the national cemetery. 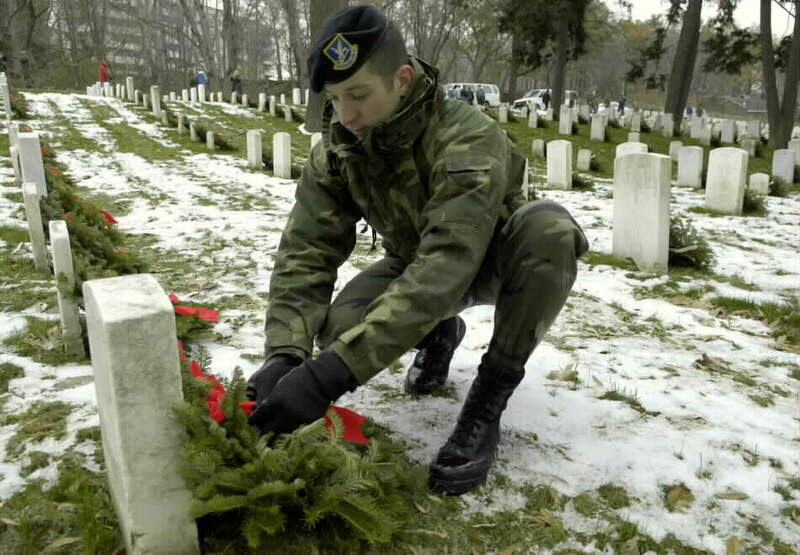 Despite the cold, wind and snow, about 75 people gathered at Arlington National Cemetery on December 15, 2005, to lay more than 5,000 wreaths on gravesites, including four at the Tomb of the Unknown Soldier. Since 1992, members of the armed forces, civil air patrol, veterans of foreign wars and several civilians have gathered to take part in the project, a brainchild of Maine resident Morrill Worcester. Mr. Worcester owns and operates a holiday decoration company. Thirteen years ago he had a holiday wreath surplus and thought back to his youth. At age 12, he’d won a trip to Washington, D.C., and Arlington National Cemetery was one of the most memorable places he visited. His first thought was to bring the extra 4,000 wreaths there. In 1993, rather than bring leftover wreaths, he planned for the event. Since then, he’s driven to Arlington every year with volunteers and a truck full of decorations. Word got around to other agencies, such as the civil air patrol and the National Reconnaissance Office, and several people wanted to help. This was the fourth year Tech. Sgt. 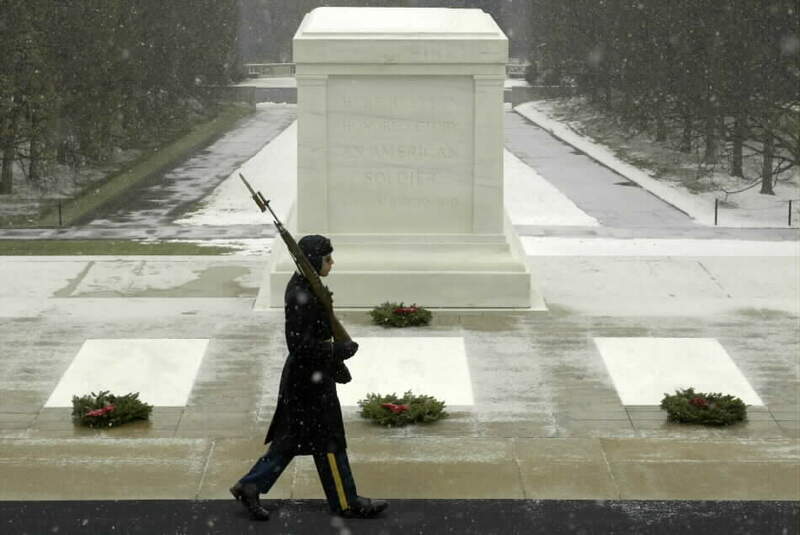 Lisa Rodier helped honor those buried at Arlington. She described the event as “very emotional” and something everyone should do at least once. Morrill Worcester's, childhood dream of doing something to honor those laid to rest in the national cemetery. Company's owner Morrill Worcester's, childhood dream of doing something to honor those laid to rest in the national cemetery. 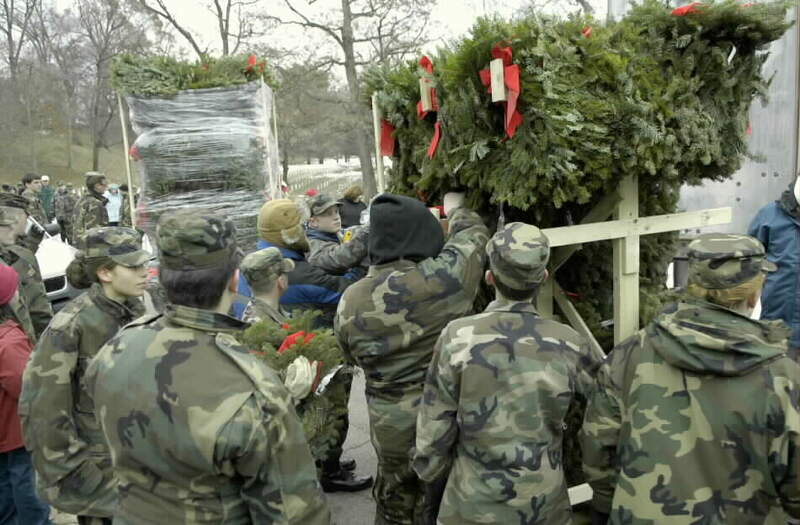 More than 5,000 donated wreaths were placed by volunteers this year. 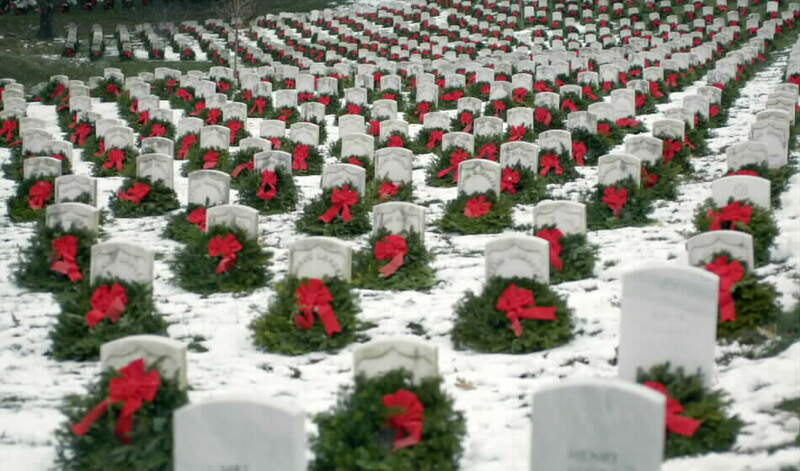 dream of doing something to honor those laid to rest in the national cemetery.